When this international bride and groom came to JustSeventy for some last-minute wedding design help, we were only too happy to assist. They had booked a venue that the team were very accustomed to working in: a large, grand shell of a space which requires a great deal of production and imagination to make the most of it. 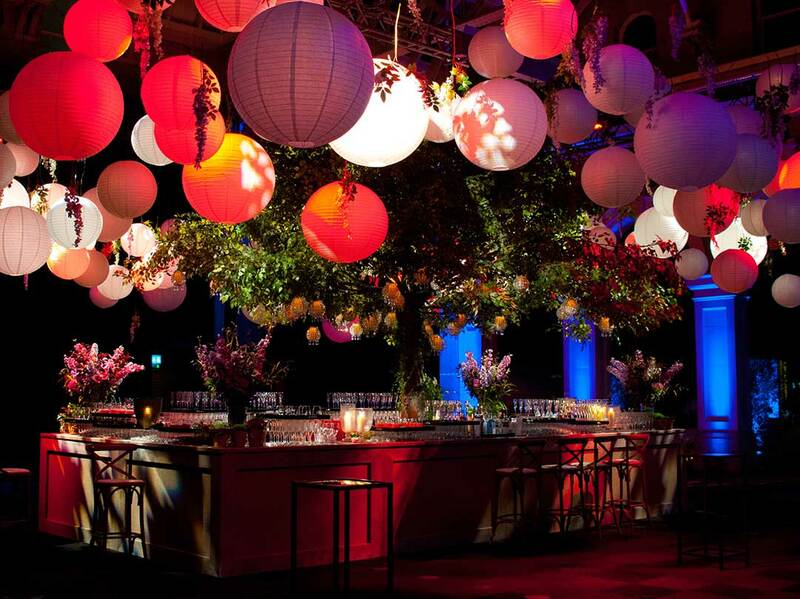 For the welcome reception, a central bar was built around a large flowering tree, however the overall effect was completed thanks to the vast quantity of suspended Chinese lanterns over the whole reception space and bar. Clever lighting in and around the lanterns ensured that the tone of exquisite design had been set and, even more exciting, it would only get better as the guests moved further inside the venue. 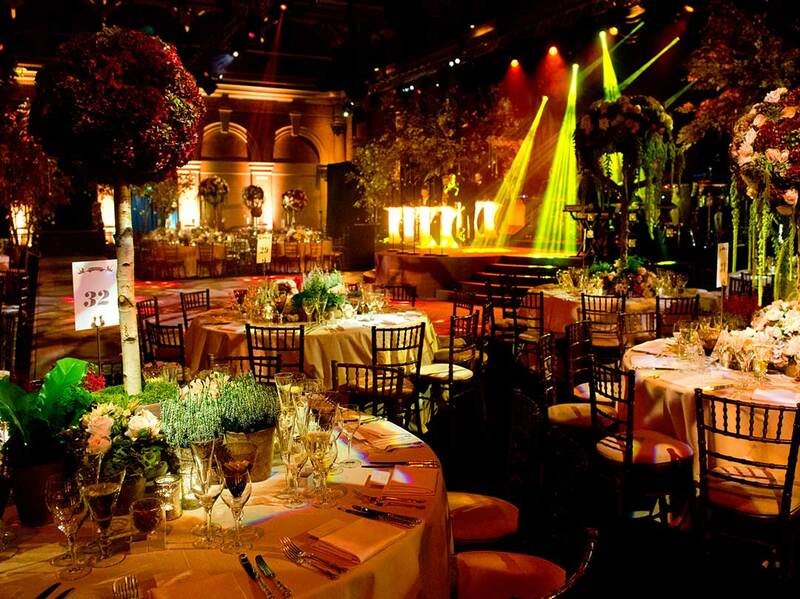 In the main dining room, to accommodate large numbers and create interest, a mixture of long and round tables filled the room, situated around a central stage and dance floor. 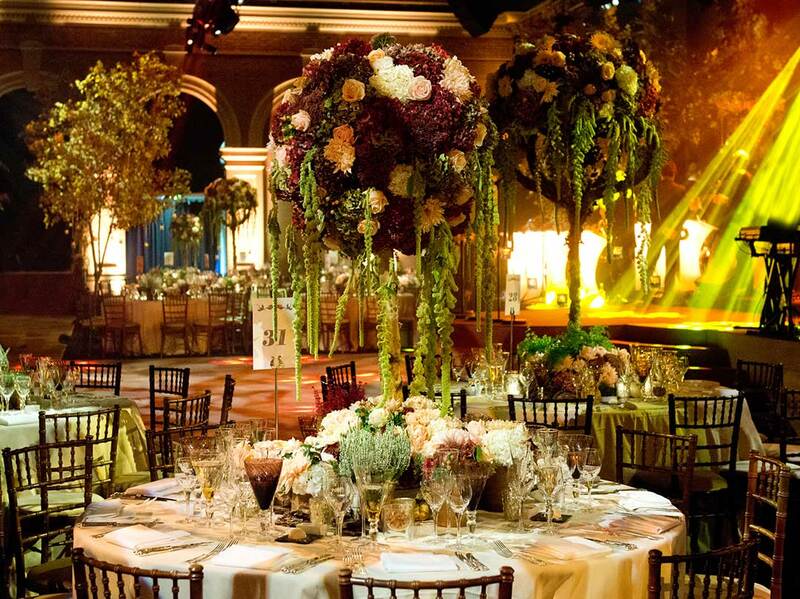 The floral design involved an unbelievable number of full-sized trees and tall table centres with a stunning collection of potted plants, herbs and pumpkins. The production elements were really where JustSeventy created magic for this bride and groom. Prior to meeting us, they had booked a large show-band as well as a famous Middle-Eastern popstar and they therefore needed an equally large stage to match. The stage was positioned centrally, in front of a bespoke wooden dance floor, and had space for more trees, two sets of steps and multiple musicians. 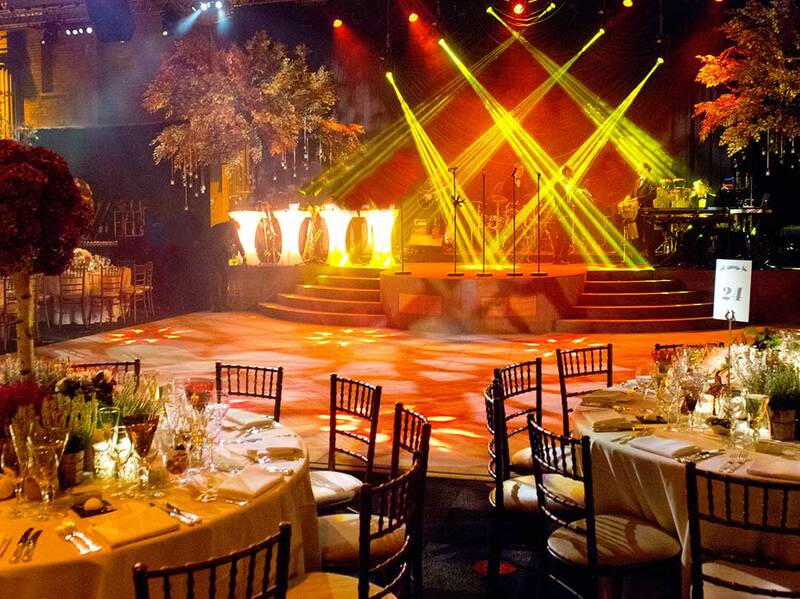 Lighting and sound were noted as crucial in this large venue and, at show time, the team flawlessly managed them both. Combining the wild garden décor in a venue with views over Tower Bridge and other iconic urban landmarks, the guests were taken aback at the transformation of this London location. The bride and groom were undoubtedly ecstatic and thoroughly enjoyed celebrating with their loved ones right until the end.